Holland Village XO Fish Head Bee Hoon is one of the Zi Char Stalls in Singapore that my family frequently visits. But it has since relocated to the Jumbo Coffee Shop at Dover Crescent, so we decided to go to Ming Kitchen Seafood Restaurant at Holland Drive instead. Do you like prawn roll? It has always been my favorite childhood dish and I can easily eat a dozen of them at one go. The crisp and crunchy Prawn rolls ($8) are good on its own, but I would prefer to dip it into the sweet and tangy sauce. In my books, the Shrimp Paste chicken or Har Cheong Kai ($8) is definitely one of the must-order Zi Char dishes. I’m not very good at fighting temptations. Especially not when the chicken is marinated with the fragrant shrimp paste and deep fried to a handsome shade of golden brown. Even though Ming Kitchen Seafood Restaurant’s rendition was fairly competent, I couldn’t put a finger to what’s missing. This is not the best har cheong kai in Singapore. The Sambal Kangkong ($6) was extremely spicy. I know it seems nothing out of the blue since I don’t take spicy food very well. But trust me on this, the sambal kangkong here was really spicy. 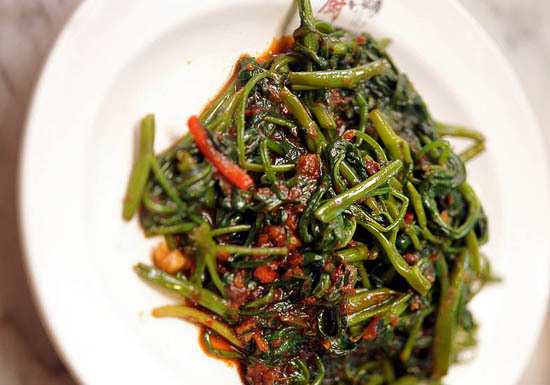 Has anyone tried the sambal Kangkong from Ming Kitchen Seafood Restaurant before? I’m usually not a big fan of Bee Hoon or Hor Fun. So it’s rather surprising that I had a sudden urging for San Lou Hor Fun ($5) that day. It was decent, nothing extraordinary — I just wished that they would put more bean sprouts though. 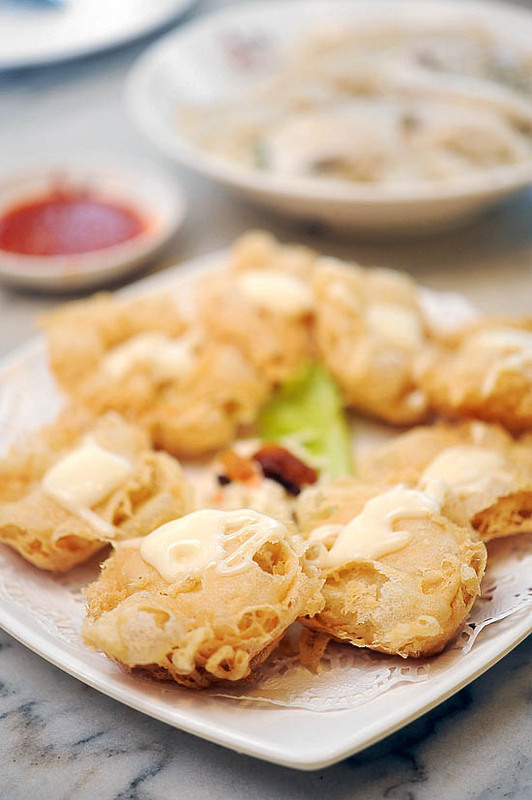 Do you know: Ming Kitchen Seafood Restaurant actually has more than 10 Zi Char stalls in Singapore? I was surprised when I saw the number of branches on their menu, and hey, there might just be one in your neighborhood! Okay I need some help here. 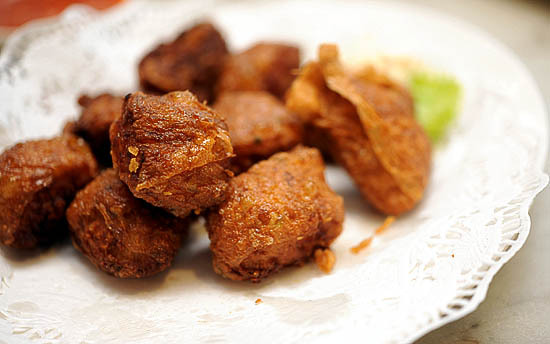 Please share with us where’s the best Zi Char in Singapore. Commonwealth Stirling Road, one of the hawker there. Zi Ran Hai Xian or something. seafood kitchen at ELIAS Mall. lovelyloey: wait, u mean pub sells prawn paste chicken too? whoa! S: thanks for the tip off! second lovelyloey. No. 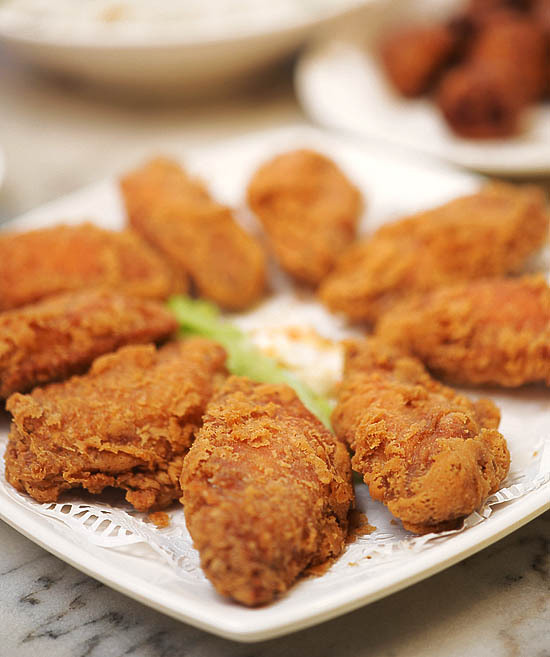 5′s chix wings is a must-order. Not suprising that nobody mentioned crabs. I chose one at Vista Point Woodlands on 15 Oct and when served, one pincer was very much smaller than the other. The surprise didn’t end here. When I mentioned to the waitress, she showed the cook and he shouted loudly that “after cooking, it’s like that one!”. Oh, is it? Hard shell shrank when cooked?